The Top 10 list that is! Now starts the drive to raise the funds to conserve the piece. The Top 10 list gets our piece and the society in the eyes of the Virginia public, now is the time to conserve the sampler to keep it in good shape for public viewing. 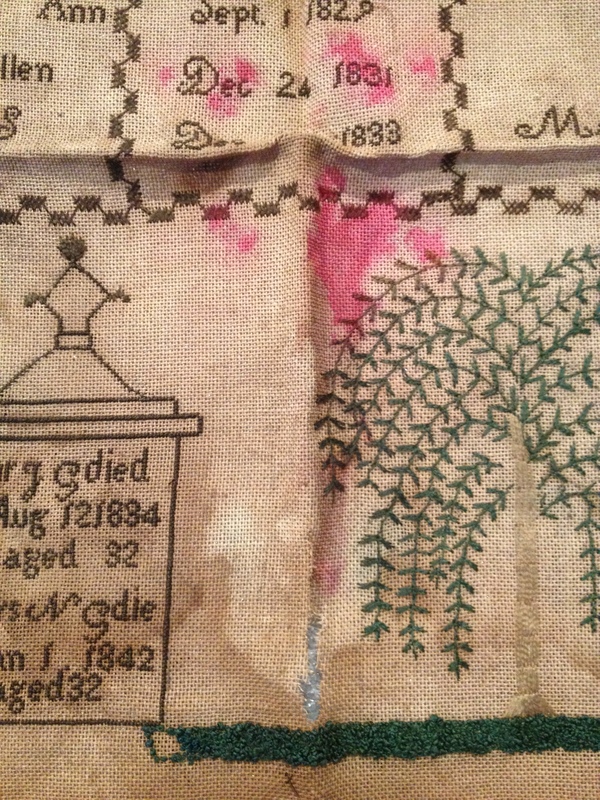 Currently the piece has been put away into storage until it can be looked at by a textiles expert. Please consider donating to the Annual Fund to help us conserve this piece so it can be enjoyed by all who visit Ker Place. The Griffith Family register is a unique piece in the history of the Eastern Shore, and we should preserve it for future generations. The Annual Fund runs from September 1 through the end of December 2015. Your tax deductible donation will not only help us conserve this important piece, but will also assist us in preserving all of Eastern Shore History. Please contact: executivedirector@shorehistory.org for more details on giving to our annual fund. Or Donate Here! Contact collections@shorehistory.org for more information on the Griffith Family Sampler or to schedule an appointment to view it. Thanks again to all who voted, this is an exciting opportunity for the Eastern Shore of Virginia Historical Society!